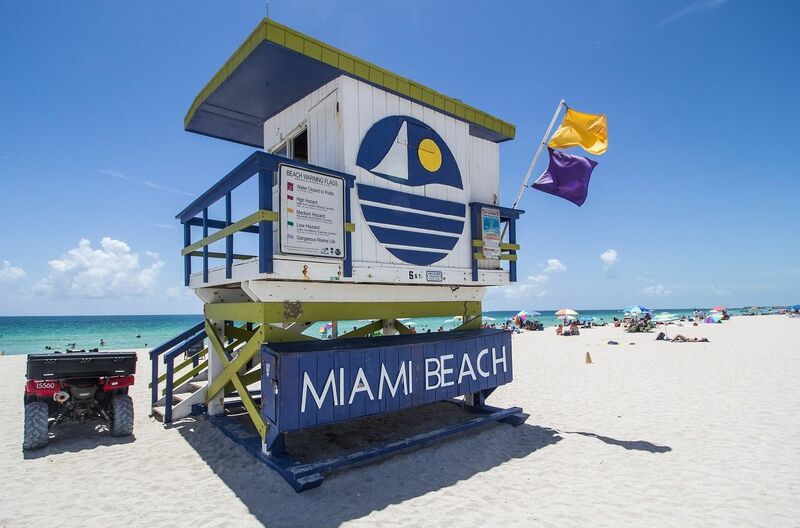 Offering a rich tapestry of diverse cultures, art and music along with some of the world's most beautiful scenery, exciting nightlife and unique ecosystems found nowhere else, Miami is a popular destination for travelers. Following our popular Miami hotel openings article two years ago, now it is time to update! 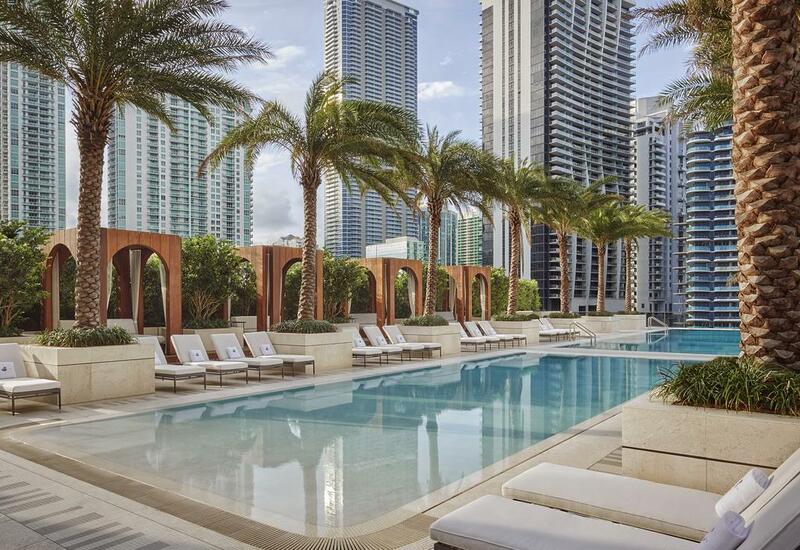 Below you will find the latest hotel openings in Miami, Florida. We will continue to update the article! sbe, The Related Group, and Allen Morris Company have opened SLS LUX Brickell Hotel & Residences in June 2018. The extraordinary Arquitectonica designed, 57-story tower encompasses 450 sold-out luxury residences featuring private elevators and 84 guest rooms and suites, all expertly designed by the incomparable Yabu Pushelberg. Just steps away from Brickell City Centre, Miami's newest and most extravagant shopping and lifestyle destination, SLS LUX Brickell offers residents and guests the ultimate access to an oasis of exclusive privileges. 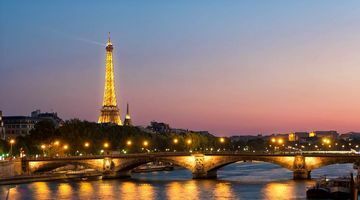 Amenities include a ninth floor pool deck, haute cuisine at Katsuya, Ciel Spa and state-of-the-art fitness center, use of a Lincoln house car with free drop off within a two-mile radius and an on-staff multilingual translator. 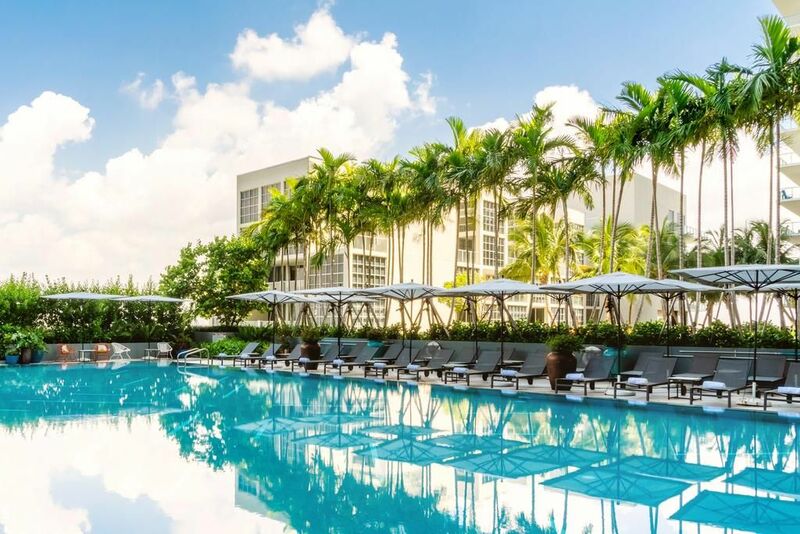 Dubbed the SLS LUX Brickell Art Collection, the property features works by renowned artists Fernando Botero and Matias Duville and an exterior mural installation by Fabian Burgos. The 153-suite Staybridge Suites Miami International Airport - Miami, an IHG all-suite hotel in Miami. The new six-story hotel offers a combination of deluxe studio, one-bedroom and two-bedroom accommodations, featuring fully equipped kitchens with separate living and sleeping areas. 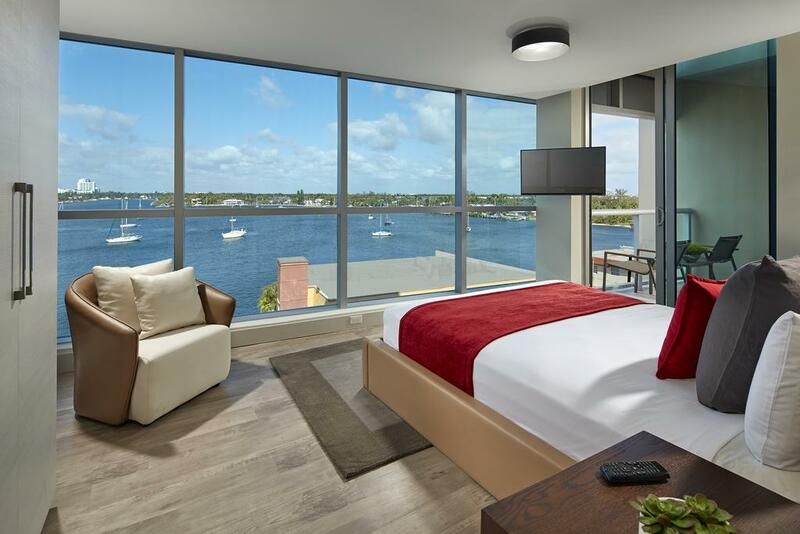 Some suites feature views over Florida’s Palmer Lake and Miami River. All suites include well-lit work stations with ergonomic seating, speaker phones, personal voicemail, and complimentary local phone calls. The new property offers exceptional guest amenities including a complimentary daily breakfast buffet, onsite guest laundry and workout facilities, a complimentary 24-hour business services center and a convenience store stocked with snacks, sundries, beverages, and easy-to-prepare meals. The property offers more than 750 square feet of flexible meeting space that can accommodate up to 24 people for corporate events. This is the only Staybridge Suites within the brand that includes an on-site restaurant offering a la carte dinner, a comfortable lounge area with a full bar. Unwind at the luxurious outdoor pool area featuring a Juice Bar offering adult beverages and snacks, and patio with a fire pit. Guests at the Staybridge Suites Miami International Airport can get Internet connectivity throughout the hotel with complimentary "Wireless Anywhere." The new property is located less than a mile from Miami International Airport, just minutes from downtown Miami and major hospital centers; University of Miami Miller School of Medicine’s, Bascom Palmer Eye Institute and Sylvester Comprehensive Cancer Center. Travelers will also enjoy easy access to the famous and historic Venetian Pool near Coral Gables and Marlins Park for major league baseball. Grapeland Water Park, Wynwood Arts District and Florida’s Atlantic Coast are also just a short drive away from the hotel. 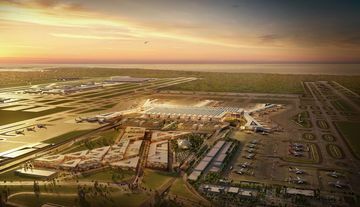 Complimentary airport shuttle service is provided to and from Miami International Airport and the Miami Intermodal Station, which services the Tri-Rail, Greyhound, Mega Bus and Amtrak. Conveniently located just east of the airport and serving downtown Miami and points along South Florida's Atlantic coast. Generator, a lifestyle and design-driven hostel chain based in Europe, made its U.S. debut in Miami inside a historic Art Deco building at 3201 Collins Avenue just south of the Faena District. Along with 300 beds in 105 rooms, Generator Miami showcases three carefully curated food & beverage venues with strong local roots; an array of spontaneous, anything-can-happen public spaces; and surprise-filled 24/7 programming from yoga classes to rap battles to mixology demos. Generator Miami offers Generator's signature mix of shared accommodations and private rooms, with a higher proportion of private rooms than at any of its European Generators. Miami is also the first Generator in the world with a pool and the first with a leisure resort. There are three food and beverage venues, including a lobby restaurant serving South Florida cuisine with fresh ingredients. Located in the heart of Miami Beach at 39th Street and Collins Avenue, Cadillac Hotel & Beach Club opened as part of Marriott's Autograph Collection. New York-based interior design firm Bill Rooney Studio designed the newly-renovated hotel, inspired by the 1940s Italian and French Rivieras with a preserved Art Deco aesthetic. Oceanfront and city view rooms, including 20 spacious suites, are complemented by radiant white stone floors with Art Deco inspired articulation, flattering ambient lighting and subtle gold and smoky blue accents. The hotel's signature Cadillac Suite faces the Atlantic Ocean with an expansive 1,100-square-foot terrace, large enough to host private dinners and cocktail receptions. Accented with a plush outdoor living area, the Cadillac Suite has an outdoor dining area and sunbeds for basking in the Miami sun. A state-of-the-art home theater and 65-inch television enhance the entertainment systems of the hotel's premier suite. The on-site restaurants and bars Donna Mare Trattoria and Bungalow by the Sea, a seaside-inspired destination just off the Miami Beach boardwalk, are the perfect blend of land and sea. The main pool leads to Bungalow by the Sea, a coastal chic destination for resort guests and locals alike to relax with a wide range of craft cocktails, rosé and European wines, as well as a raw bar and light fare including simply grilled fish and salads. Inside, Cadillac welcomes Donna Mare Trattoria, offering light, locally-sourced traditional fare and seafood, including Neapolitan pizzas from a wood-fire oven, homemade pastas, simply grilled fish and grass-fed meats. The restaurant's intimate setting evokes the old-world atmosphere of Italy while embracing beautiful Miami Beach. Lobby Bar, the hotel's intimate bar, focuses on cocktails inspired by the sea, and also serves light bites and rosé flights. The luxury hotel also provides beachside and pool service which includes a dedicated Sun Bum sunscreen bar and a signature shaved ice cart serving complimentary treats daily at two pools —one for adults only and one family pool. For corporate meetings and social events, Cadillac Hotel & Beach Club offers a quintessential Miami Beach backdrop. Several flexible indoor and outdoor meeting and event spaces include a high-tech and high-styled boardroom as well as a beautifully-appointed ballroom that fills with natural light from floor-to-ceiling windows and opens onto an expansive pool deck. Los Angeles-based sbe opened the HYDE Hotel & Residences Midtown Miami, the midtown’s first luxury lifestyle hotel. The thirty-two story, Arquitectonica designed building features 410 sold-out luxury condominiums, a dramatic double-height lobby inspired by the art galleries found throughout the surrounding Design District, a rooftop amenity floor, boutique spa, and 60 hotel rooms and designer suites with features that include split layouts, private kitchens, and exposed concrete ceilings. 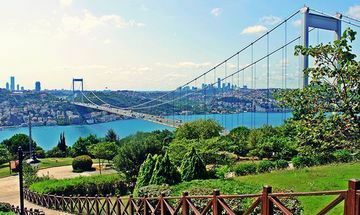 The hotel offers fantastic amenities and extremely specious rooms with kitchenettes allowing for ultimate convenience while on vacation or a business trip. Located on Ocean Drive, north of Hollywood Boulevard, Costa Hollywood Beach Resort features 307 spacious, European-influenced suites, as well as a 25,000 square-foot rooftop infinity pool and sun deck with sweeping Atlantic Ocean and Intracoastal Waterway views, as well as a poolside restaurant/bar. Perfect for extended beach stays and family vacations, each of Costa Hollywood’s spacious, European-influenced suites includes hand-crafted Italian cabinetry, stainless steel SMEG appliances – including a refrigerator and microwave, Caffe Caligliari coffee capsule machine, and body and skincare products from Aromatherapy Associates. A full-size refrigerator and oven/cooktop is included in one-, two- and three-bedroom suites. An ideal wedding and event destination, the resort features 3,500 square feet of flexible space offering abundant natural light and ocean/Intracoastal views, as well as more than 28,000 square feet of non-traditional space. 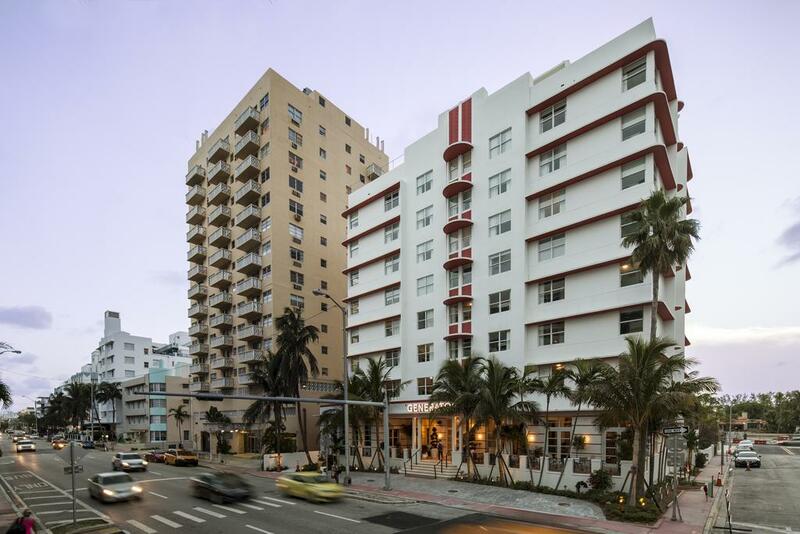 Through extensive restorations, the Henrosa Hotel, located at 1435 Collins Avenue Miami Beach, FL, opened Nov. 2018. The hotel offers 40 rooms of Classic Kings and Deluxe Doubles and is recognized by the Miami Beach Architectural District 1979 and Miami Design Preservation League, in addition to Art Deco Historical Preservation. Each room is furnished with custom pieces and contains furniture from companies such as Guild Master and Global Views. The lobby and hallways are still expressive from the signature original 1930’s terrazzo floors, lush greenery and Art Deco wrap-around mezzanine balcony overlooking the check-in and lounge area. Anything you see gilded is hand-painted by the Design by Shell mother-daughter duo, using 24K gold and precious Silver. The bathrooms are marble tiled using white and grey elements with Kohler appliances accentuated. Each room features Egyptian cotton bedding, feathered duvet and pillows, central AC, 52in Smart TV including all premium channels, ability to stream your personal Netflix account, Wi-Fi, free local calls and wake up service, rain shower, small magnifying mirror, blow dryer, C.O. Bigelow bath product amenities, Bahama blackout shutters, safety box, small fridge, iron, iron board and full-length mirrors. Room service offering will include small bites, wine and champagne. Guests are offered complimentary breakfast on the famed picturesque Espanola Way at Havana 1957 which combines the flavors of traditional Cuban cuisine with the enchantment and sophistication of Havana in the 1950's. A partnership with Lobster Bar and Sea Grill provide guests with a discounted experiential dinner. 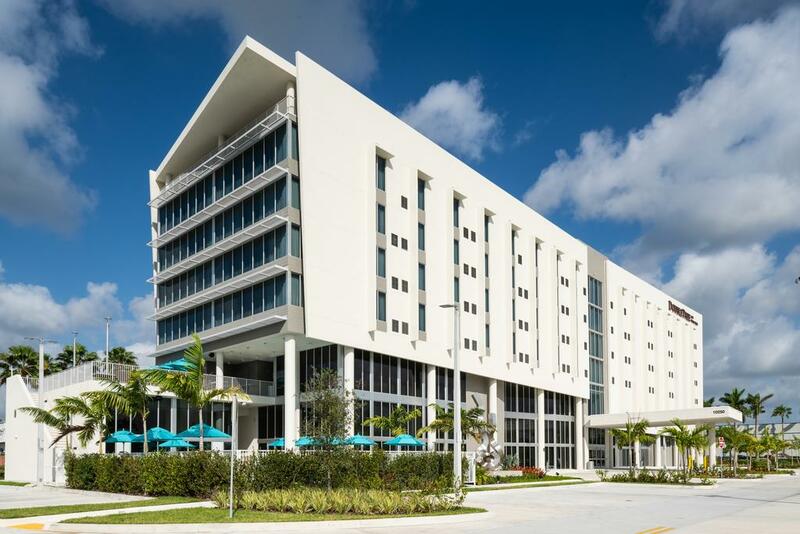 InterContinental Hotels Group (IHG)has opened EVEN® Hotel Miami Airport. It is the first new property to open near the recently-approved 73-acre Miami Freedom Park, which will house a proposed new soccer stadium for David Beckham's Inter Miami, Miami's soon-to-be-formed Major League Soccer expansion team. EVEN Hotel Miami Airport consists of 190 guest rooms, each with an in-room fitness trainer, ergonomic work station, signature sleep experience and complimentary Wi-Fi. The property also boasts 4,200 square feet of meeting space, signature Cork & Kale restaurant, and 24-hour state-of-the-art fitness studio that is three times the size of a standard hotel gym. Life House, Little Havana is a newly opened hotel housed in a historic 1920s mansion in Miami's Cuban heart. The 33-room hotel is a visual encomium to its locale; every element has been mindfully crafted to pay homage to the area's cultural roots. The 33 guest rooms and suites feature Le Labo bathroom amenities, Marshall speakers, rainfall showers, and a mixture of vintage and custom furniture. The hotel plays host to a secret garden style courtyard, providing a lush outdoor oasis with a Havana ambiance. Exploring Cuban gastronomic roots, the vegetable forward café and bar and restaurant offer Latin infused foods and color palettes. The rooftop will feature a food forest from which ingredients will be sourced and used throughout the hotel's menus. Opening in March, the crowning space Terras overlooks the Miami skyline from a jungle canopy-like perch, further cementing the hotel's relationship with its surroundings. Following a $110 million transformation of the iconic Park Central Hotel, originally built in 1937 and closed in 2015, Celino South Beach opens as a 132-guestroom oceanfront property as a reinterpretation of 1940s Miami Beach glamour. The pool and rooftop sun deck features a glass-bottom pool that reflects aquatic light images on the atrium as well as a courtyard pool. The property will boast three food and beverage outlets. Other amenities include on-demand beauty services, customized bicycles by Republic Bike and a fitness room that’s open 24/7. DoubleTree by Hilton Miami Doral opens its doors in the heart of Doral's bustling business district. The 150-room hotel is the closest hotel to famed Miami International Mall and offers convenient access to CityPlace Doral, Miami Beach Convention Center, Downtown Miami, South Beach, the Art Deco District and Port of Miami. DoubleTree by Hilton Miami Doral offers more than 1,700 square feet of meeting space with both indoor flexible meeting space and an outdoor terrace with dedicated banquet service bars that can accommodate up to 200 people. AC Hotel Miami Airport West/Doral is a new, modern, design-driven, lifestyle brand from Marriott International, Inc. The 118-room AC Hotel Miami Airport West/Doral is located at 8091 NW 36th Street Doral, near CityPlace Doral. A central feature of the property will be its exquisite AC Lounge highlighted by a full bar featuring a mixologist bartender. When combined with the hotel’s 1,040 square feet of flexible meeting space, outdoor area, AC Lounge and additional luxury amenities, the AC Hotel Miami Airport West/Doral modern chic rooms and exceptional personalized service will make the hotel a premier location for business meetings, weddings, weekend gateway and much more. At the AC Hotel Miami Airport West/Doral guests will be able to enjoy European-style tapas as well as unique craft drinks, like the Potion 305, found exclusively at the AC Lounge. The lounge is the perfect hub for guests and locals. Expert mixologists create innovative signature cocktails with local roots. The new Hilton Miami Dadeland is opened as an innovative hotel in the Kendall area of Miami with a distinct focus on wellness. Hilton Miami Dadeland features 184 contemporary rooms, including 34 suites tailored to guests staying for extended periods, bringing a welcoming and uplifting environment for hotel guests. The property offers Hilton's revolutionary, state-of-the-art Five Feet to Fitness™ in-room wellness concept, bringing 11 different fitness equipment and accessory options into the guest room. Five Feet to Fitness™ is perfect for exercise enthusiasts who prefer to workout in private to maintain their routine. Furthering the focus on overall wellness for leisure and business travelers, Hilton Miami Dadeland features a health and wellness center with fitness room, meditation garden, heated outdoor pool and walking and jogging trails at the property. Hilton Miami Dadeland offers the largest meeting and event space in the area with 10,000 square feet of indoor and outdoor meeting space, including a 6,250-square-foot ballroom with private outdoor patio and dedicated pre-function areas. Executive Chef Andrew Edwards, culinary director of Table 55, created a flavorful, fresh and seasonal menu with the best ingredients from sustainable, local farms and producers, complemented with produce from the on-site garden. In addition to the hotel's restaurant, Hilton Miami Dadeland offers a grab-n-go pantry, Starbucks®, a Wall of Water bar with bottled water from around the world and room service. Palihouse Miami Beach located at 3101 Indian Creek Drive, just a few blocks north of The Freehand Miami will offer travelers the chance to experience Miami Beach like a local during their visit. The newly restored Art Deco building will come equipped with 71 classics rooms, studio residences, most with kitchenettes, Lobby Bar, Patio Garden and Pool Area. The property will also feature Greenbrier Swim & Social, a lobby lounge, cocktail bar, front patio and outdoor pool area serving an all-day food and drinks menu. Hotel guests will also have access to the Palihouse Miami Beach Beach Club and waterway boat dock. Mr. C Coconut Grove is situated in the heart of one of Miami's most notable neighborhoods and is set to provide guests with unmatched views of Biscayne Bay and the Coconut Grove skyline. The C is for Cipriani, the family behind the famed eponymous fine dining Italian restaurants. In addition to its 100 guestrooms and suites with private outdoor terraces, Arquitectonica designed Mr. C Coconut Grove also features the Bellini Restaurant and Bar, on the hotel's top floor. The restaurant boasts a refreshing new Italian dining concept inspired by Ignazio and Maggio Cipriani's travels throughout Italy, and offers indoor and outdoor seating that exudes the intimate old-world atmosphere of coastal Italy while embracing a sleek and soothing Miami modern style. For corporate meetings and social events, Mr. C Coconut Grove offers guests a top floor ballroom with panoramic views of the Biscayne Bay. 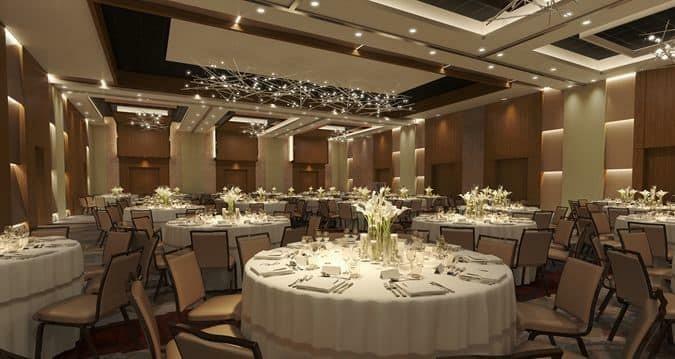 The space can accommodate a seated dinner for approximately 150 guests and cocktail reception for 300 guests, with an additional pre-function space. A covered event space is also available in the hotel's ground floor for up to 720 guests. Other property amenities include a rooftop pool and pool deck with private cabanas and a pool bar, state-of-the-art gym equipment with personal trainer and yoga classes available upon request, a Lobby Lounge with indoor and outdoor garden seating, and a private spa suite with a relaxation area, sauna and treatment room which can be reserved through the concierge team. 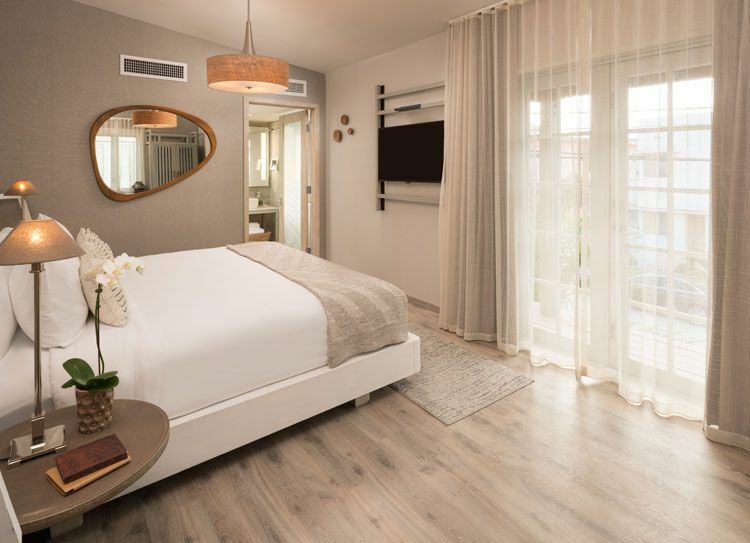 Following the opening of its first hotel, Life House, Little Havana in Miami beginning of 2019, their second hotel, Lifehouse South Beach is scheduled to welcome travelers from mid-June 2019. 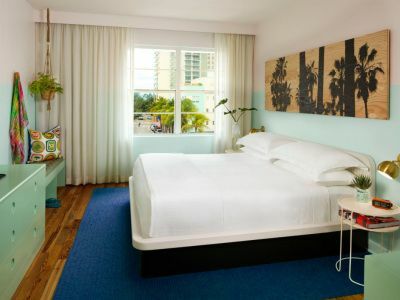 Located in the South of Fifth neighborhood, steps from the ocean and far enough away from the noise of South Beach tourists, the hotel’s guestrooms will offer a light and airy beach retreat, and with coastal details such as whitewashed wood plank walls and ceilings. 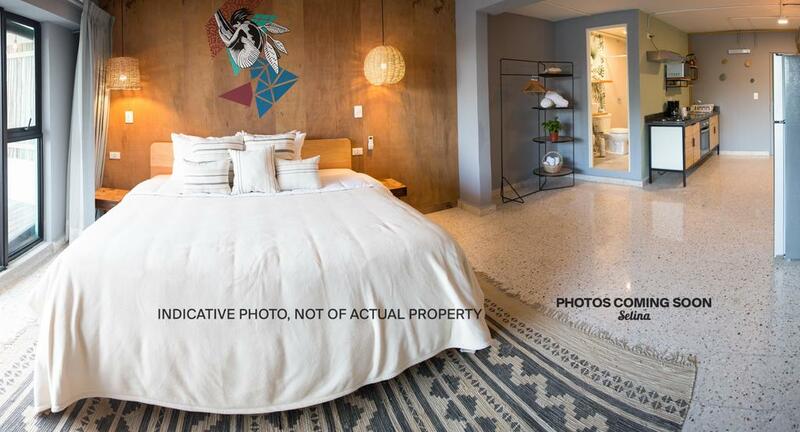 Each room will have a uniquely playful layer of art, color and texture that brings to mind the bedroom of an artist. Each room features Le Labo toiletries for a refreshingly comfortable home away from home. Bringing to life the iconic Tower Hotel which had been left dormant for many years, Selina Little Havana is currently being designed in collaboration with local Miami artists and designers. Featuring 62 rooms, ranging from US$20+ per night dorm-style rooms to luxurious US$300+ per night private suites, the property’s handcrafted furniture and original art will be inspired by the Miami culture. Selina Miami offers an oasis in this busy city for community and self-care. With workshops, weekly BBQs, and outdoor music concerts, this Selina destination is at the heart of the emerging Miami River scene. Stop by for flavorful Latin cuisine and culinary collaborations with Casa Florida. Dive into Miami’s blossoming wellness and underground art scenes. Foodies and culture vultures will love this lush paradise inside a hidden Florida Key-meets-Tulum gem. The Spanish LGBTQ hotel brand is opening its Miami Beach home in 2019. Adding to the destinations ever-growing list of LGBTQ-friendly hotels, restaurants, spas and experiences, AxelBeach Miami is less than a three-minute walk to the beach, close to Lincoln Road and Ocean Drive and will offer 159 rooms, a spa, restaurant and sky bar terrace with swimming pool. Located in what was once the Peter Miller Hotel, built in 1936 and at the heart of the area’s Historic District, Lennox Hotel Miami Beach will be an intimate, bold luxury boutique property offering stylish and sophisticated accommodations and an authentic Miami experience. The historic structure was designed by architect Russell Pancoast in 1934. The property has the notable distinction of being among the 300 Miami Beach buildings that were leased by the U.S. Army for the Air Forces Technical Training Command during World War II. The buildings returned to civilian use in 1943 and remained a military property until 1944. The structure is now part of the Historic District. Travelers will find ultimate comfort in one of 119 contemporary guestrooms, each enhanced by natural elements, handcrafted furnishings from abroad and green and upcycled materials that were meticulously curated by acclaimed Argentinean interior designer Juan Ciavarella. Located near South Beach's Collins Park and situated within walking distance to the Miami Beach Convention Center, The Greystone Hotel is a 56,000-square-foot Art Deco hotel inspired by Miami’s Golden Era. 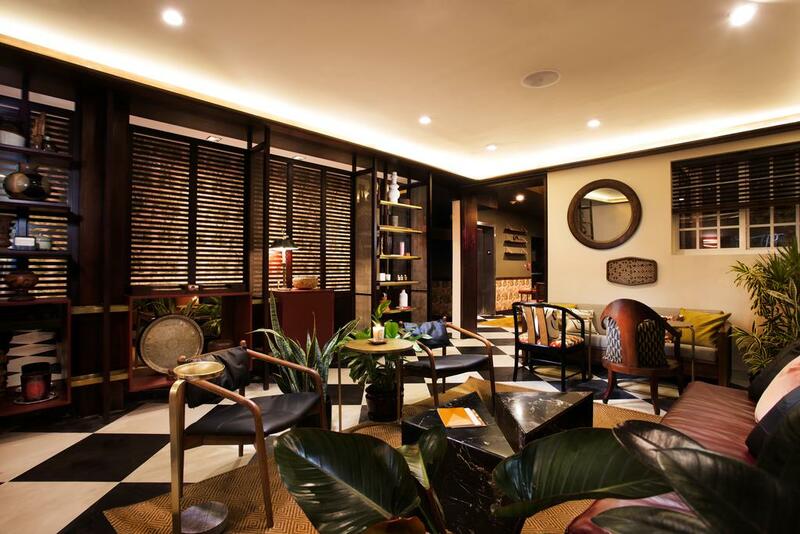 A VOS Hospitality property, this upscale, 92-room boutique hotel features a five-story tower, rooftop swimming pool and bar, 140-seat restaurant and a subterranean speakeasy lounge, all designed by Shulman + Associates. Originally built in 1936, the hotel recently completed a spectacular $65 million restoration. Located Across the Street from the Beach in the Entertainment Epicenter of Miami Beach, the hotel is just 2 blocks away from the Miami Beach Convention Center. Wyndham Hotels will open a 445-room dual-branded concept in the heart of the Financial District, operating a Wyndham Grand and TRYP by Wyndham under the same roof. Owned by Brazilian developer Galwan and designed by award-winning firm Arquitectonica, the agreement comprises 445 guest rooms in Miami's trendy Brickell neighborhood. 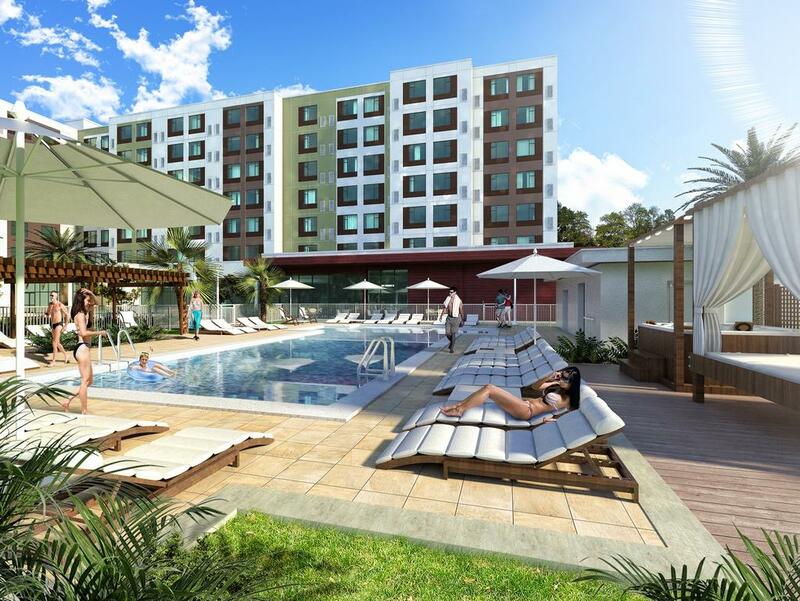 The hotel, expected to open in late 2019, is the first U.S. development for Galwan, one of the largest residential and hotel developers in Brazil. The 41-story hotel will offer 200 rooms under Wyndham Grand and 245 rooms under TRYP by Wyndham, including the brand's signature family rooms with extra space and bunk beds for kids. The hotels share a lobby and lounge space on the first floor, an eight-story parking garage, a pool deck, a fitness center and 8,000 sq. ft. of meeting space including a library, boardroom and flexible event spaces. 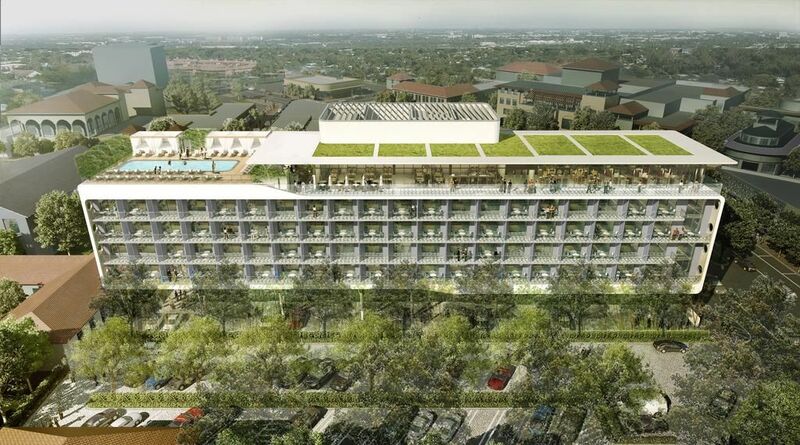 The hotel's rooftop will feature a three-meal restaurant and bar inspired by the TRYP brand's Mediterranean roots. Before acquired by Hyatt Hotels Corporation, Two Roads Hospitality announced the development of its newest property in Miami Beach, Florida, as part of the Thompson Hotels brand. Thompson South Beach will compliment group’s Hyatt Centric Brickell Miami. Projected to open in 2020, Thompson South Beach will be conceptualized by famed French architect Rudy Ricciotti. The hotel will include 150 generously-sized guestrooms with floor-to-ceiling windows, and a rooftop pool, restaurant and bar with breathtaking views of the surrounding city, the New World Symphony's renowned WALLCAST®, and the Atlantic Ocean. 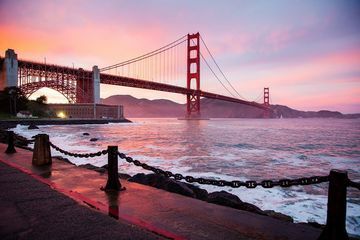 The ground-level and rooftop restaurants and bars will appeal to locals and guests alike, featuring seasonally-inspired plates and robust cocktail programs. The property will also boast elevated meeting space for intimate social functions and corporate meetings in the heart of the city.